Pix'n Love Publishing, the company behind the rather good History of Nintendo: Volume 1, has just overhauled its website and put up a stack of new books to pre-order. Top of the list is the next issue in the series, titled The History of Nintendo: Volume 2 — Game & Watch, which goes through the development of Nintendo's classic LCD gaming devices. If it's half as good as the first book you'll be in for a treat. That's not the only book to pre-order though, as the publisher's also got an upcoming tome called Gunpei Yokoi: Life and Philosophy of Nintendo's "God of Toys", which goes in-depth with Yokoi's inventions including the Game Boy, Game & Watch and plenty more. 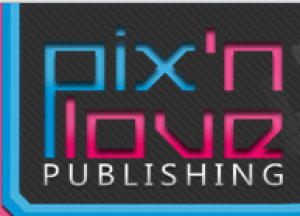 You can also vote on which book you'd like Pix'n Love to publish next and even check out some sweet Diddy Kong Racing figures over at Pix'n Love Publishing's website. Remember: there's free worldwide postage on all books. Free shipping? Yessir. Think I might have to get History of the World: Part I (I mean what the actual title is)... not sure if the Game 'n Watch canon is as compelling to me, though. Still think David Sheff's Game Over is the best book on Nintendo out there, and if anyone on here hasn't read it, make haste and track down a copy. Dang it, I thought this was an announcement that Pix'n Love Rush was coming to 3DS. @Scissors: Yeah, me too. I would love to have Pix'n Love Rush on the 3DS. I have the first History of Nintendo book. How many volumes are ultimately going to be released? Is is one for each gaming generation? Will Volume two also cover the NES years? @StarDust: Looking at my copy, the back flap of the book lists 4 volumes to date for the History of Nintendo series. I want to thank Nintendo Life for bringing this series to my attention. While the cost is steep (£24.99 = $40 US), the free shipping helps ease the sting. The book itself is a high-quality print with a nice plastic jacket that will not wither away over time. If someone is a collector of Nintendo or retro games, I would highly recommend it. I'd love to know why is the second book more expensive than the first one (which was $29/£18.50 all in) even though it has less pages? I'll have to check these out sometime.